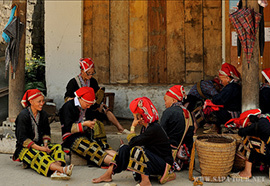 Sapa homestay tour is one of the most interesting tour in Sapa, it takes us to discover the life style as well as the custom of the hill tribe in Sapa. 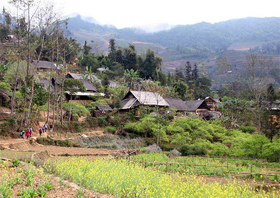 We will trek through many beautiful sights in this area, enjoy the beauty of terraces fields, valley view and meet the local people such as: H’mong, red dzao, Zay,Tay,Xa pho, Ha Nhi… At night, we also overnight at stilt house of the local in here. This homestay they have hot water for shower, soft sleeper, blanket…etc. 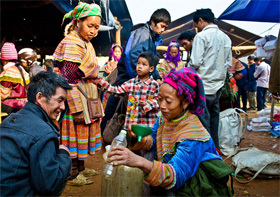 We can join the local dancing and taste delicious local foods that made from them. It’s worth for us to experience this trip.